With the good weather here now, we all can enjoy the warm sunny days. Unfortunately, this brings some unwanted pests too. The June bug or American Japanese Beetle is a really unwelcome guest. As the name suggests, they are originally from Japan. They were first noticed about 100 years ago. Probably from ships carrying foreign trade. While in Japan, they were not considered as much of a pest because they had more natural predators to keep their numbers down. 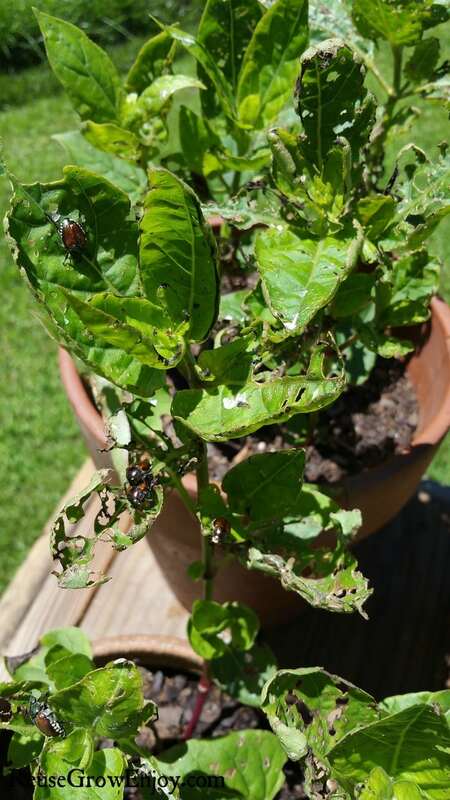 Here, particularly in the eastern United States, the Japanese beetle numbers can be considered to be an infestation. These little June bugs are matured grub worms, who work their way out of the dirt in June to wreak havoc on crops and plants during our summer months. They have all kinds of fruit and vegetables they like to consume. Over 300 including but not limited to Birch Trees, Rose Plants, Black Walnut, Plum Trees, Apple Trees and more. They will actually attack the leaves of your plants and eat the tender inside leaving the outline of the leaf behind. “Skeletonizing” the leaf so that just the inside and outside frame of the plant is left. The plant can’t perform photosynthesis, and eventually, it can die. They usually attack a plant in large groups effectively decimating a plant in a short time. 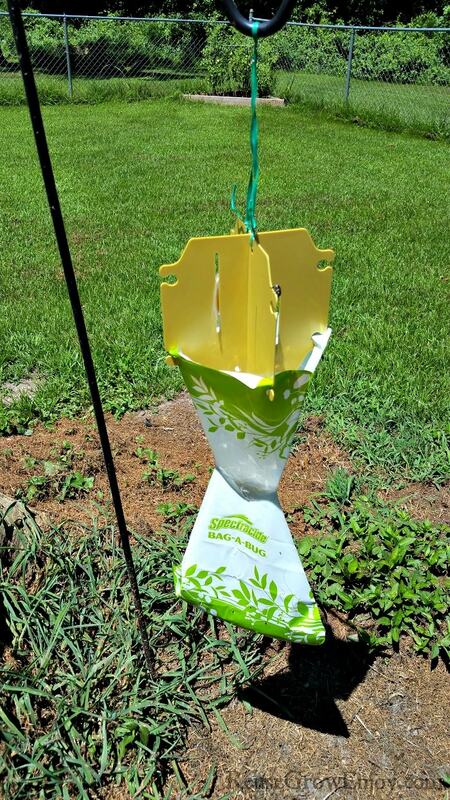 One such way to control this pest is to use Japanese Beetle Traps. They use a pheromone scent to fool the beetles into thinking it is a place to mate. They get trapped in the bag and die. 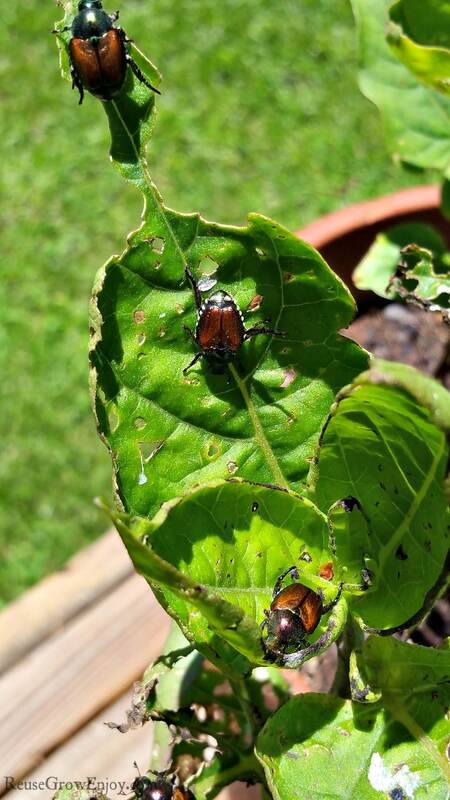 This can be very effective as it will draw a large number of beetles away from your plants. However, it can also attract beetles from other areas so its placement can be very important. You want to make sure they to place them away from the plants you are trying to protect. You don’t need more of these pests attacking your crops. There are also some natural ways to help control the Grubworm/June bug problem. Neem oil extract is a natural way to repel the June bug from feeding in your treated areas. Spray your plants once a week with the recommended mixture from the container. It will help repel some beetles away, but the results can be mixed. Some people report that it works wonders for their plants, others say after a few days the pests have returned, resulting in additional applications needed. However, while this is a natural product, it still needs to be used with caution. You need to make sure not to spray during active bee season as it can harm bees. Normally there is not much of an issue with this as the Japanese Beetle comes after the bloom/bee season is finished. Just something to be mindful of as we do not want to kill bees. You do also want to be sure to apply the spray early morning or late evening. If you apply it in the middle of the day you run the risk of burning the plants. When the infestation starts in the heat of the summer sun, it is much harder to control. It is better to start when these bugs are still the grub worm. Milky spore is one way to help this problem before it starts. You spread it in small teaspoon piles 4 feet apart in a gridlike pattern on your yard, then water lightly. Then the grub worms eat it and die. This can now pass on to other grub worms and kill them too before they have a chance to become June bugs. This can take 2 to 3 years of application to really notice a decline in the Japanese Beetle in your area. However, it can be worth the effort. This can also help with mole infestation as the moles love grub worms. You can test and see for yourself what method works best for you in your particular situation. 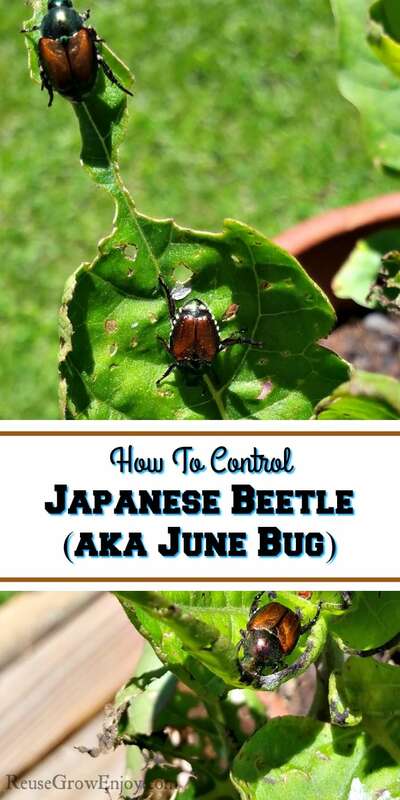 However, with a little persistence, you can certainly help control the Japanese Beetle. By doing that you will save all the hard work you’ve spent on your garden. If you found these tips helpful, here are some others to check out.